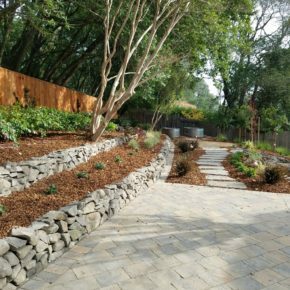 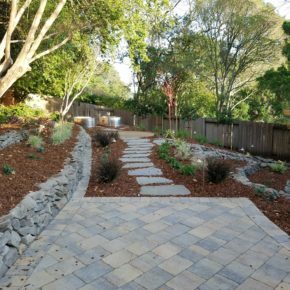 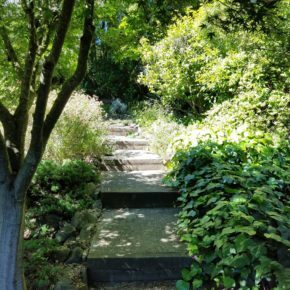 The old landscape in this Petaluma back yard had become severely overgrown and had been cobbled together over the years. 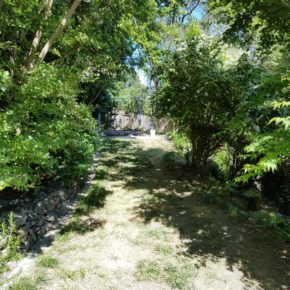 The first step here was a good clean-up to remove all the excess vegetation. 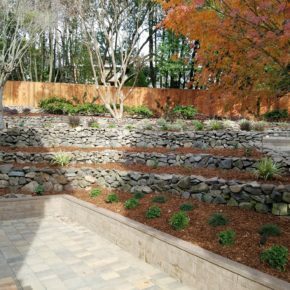 This exposed some extensive rock walls, which we rebuilt and complimented with new paver patios, walkways, seating area and vegetable garden boxes. 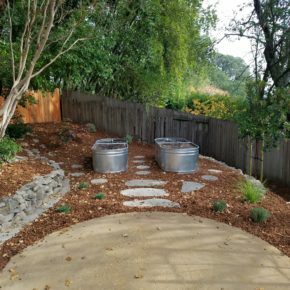 Thank you so very much for transforming our jungle of a back yard into a lovely, peaceful space. 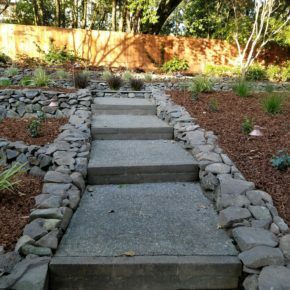 Your ability to modify what we had and attention to detail as you designed and built the new space was tremendous, and we know we will enjoy it for years to come. 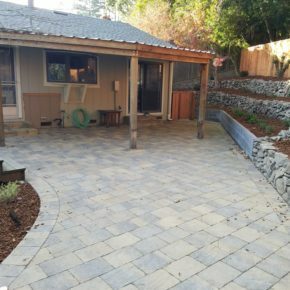 Please extend our thanks to your team- their work was exceptional.